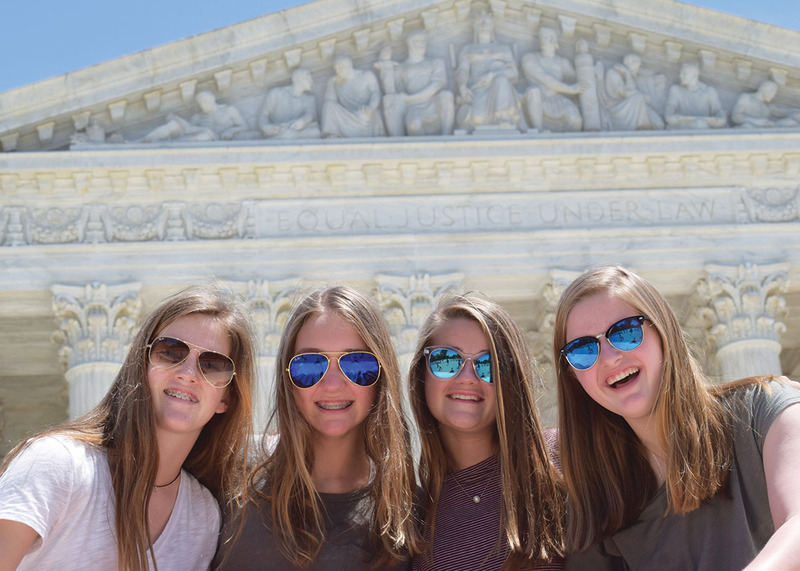 Linda and Hannah Schweitzer, Dawn and Grace Wilson, Carrie and Lissy Sturges, and bestie Annie Valicek went back in time to visit historical sites in Washington D.C. and Old Town Alexandria. After they saw the Supreme Court and much more, they luxuriated at the historic Willard Hotel, near the White House. They saw the Ford’s Theatre, where Lincoln was shot, and barricades at the White House on lockdown, when a man aimed a gun at the Secret Service. One night they dined with retired U.S. Air Force Lt. General Leslie Kenne. Hannah, Grace, Lissy and Annie will attend Memorial High School for ninth grade.